Happy St. Patrick’s Day! I’m sure many people are thinking about their evening feast of corned beef and cabbage (and possibly some green beer). While corned beef isn’t the healthiest food you could choose – cabbage can be considered a super food. Cabbage is a great source of indoles, which is a health promoting compound that has been found to help regulate estrogen in a favorable way in both men and women, that is likely to reduce the risk of cancer. The pigments that give red or purple cabbage its color contain anthocyanins, which are molecules acting as strong antioxidants helping to fight free radicals. Along with all of its other benefits, cabbage is loaded with vitamins and minerals. Calcium, magnesium, potassium, vitamin C, vitamin K and high amounts of fiber are just a few of the long list of health benefits. Not bad for one of the lowest calorie foods on earth! Happy St. Patrick’s Day and be sure to hold the corned beef and load up on the cabbage! From vitamin water to weight loss cereal to Omega 3-enriched waffles, it seems like every food is trying to claim a health benefit. But are these items really healthier for us? While enhancing food and drink with extra vitamins seems like it would be to your advantage, it often comes at a cost. For example, one of the biggest problems with a vitamin-enriched drink is that it typically contains a lot of sugar to improve the taste. The nutrition label of Vitamin Water by Glaceau, heavily advertised as a healthy beverage, shows that the drink contains 13 grams of sugar per serving, but there are 2.5 servings in each 20 oz. bottle. That means there are a whopping 32.5 grams, which is nearly seven teaspoons of sugar in each bottle of Vitamin Water—nearly as much as a 12 oz. can of soda. The ingredients list is another clue that Vitamin Water is an unhealthy beverage. Listed from greatest to least amount, Vitamin Water’s first and second ingredients are water and crystalline fructose (sugar). There is more water and sugar in this beverage than any other ingredient—including vitamins. When reading nutrition labels, basically anything that ends in the letters '–ose' is going to be a sugar, including fructose, sucrose and glucose. With the average American consuming between 160 and 200 lbs. of sugar a year, increased sugar consumption is currently a major health issue in the United States. In excess, sugar is poison to the body and creates unwanted stress that can lead to health problems ranging from depression to diabetes to obesity. Besides the excess amount of sugar in Vitamin Water, it is important to examine the vitamins the drink contains. Today, many people do not get the proper amounts of nutrients from food alone, so supplementing is a good option, but it is important to note the quality of vitamins. The only regulation there is right now to monitor vitamin quality is the Good Manufacturing Practice (GMP) Certification by the National Products Association. In the future, the FDA is planning on requiring all vitamin companies to have this certification. Until then, it is best to ingest vitamins from companies that are GMP certified—rather than from sources where uncertified vitamins are injected into food or drink. 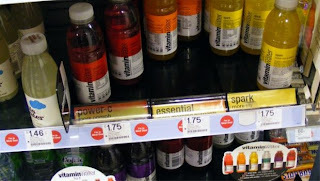 Is Vitamin Water just sugar water in a pretty package? In my opinion, yes. So save your money and drink purified tap water instead. If you are interested in supplementing, choose Good Manufacturing Practice-certified vitamins and avoid consuming the excess sugar that comes with Vitamin Water. Set yourself up for healthy eating success by stocking your fridge with the right food. When hungry, people typically just grab the first thing they see. When you stock your fridge with healthy food, you are more likely to eat healthy. As mentioned in the video, replace processed butter or vegetable spread with ghee. And substitute coconut milk for regular milk in smoothies. To learn more watch the video. Click here to learn more about shopping for healthy foods. Anti-aging research is always looking for the fountain of youth. Although they may never find the actual fountain there has been some pretty interesting research published recently. A lot of the new research focuses on telomeres. Bundles of DNA found in every cell, telomeres are like very long ribbons that shorten naturally with age. Similar to biological clocks, the longer your telomeres are, the longer you will potentially live! As of now, there is no way to slow the shortening of these telomeres (whey it ain’t so! ), but you can avoid accelerating their shortening. Living an unhealthy lifestyle, eating processed foods, having chronic mental stress and not exercising are all examples of things that could possibly shorten your telomeres. Another way to prevent the acceleration of your biological clock is to consume more glutathione. Found in whey protein, GSH increases the integrity of telomeres and protects them from stressors like free radicals. 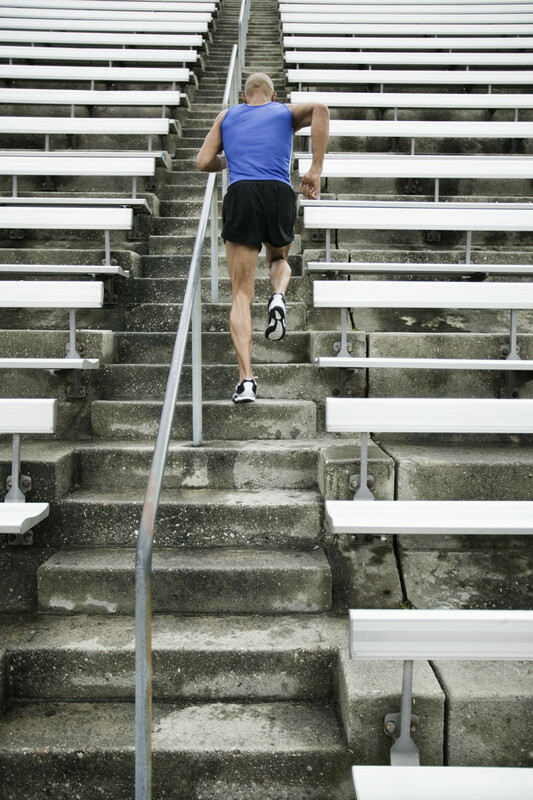 Not only is whey protein a source of GSH but it’s also one of the most potent sources known! Dr. Mercola named whey protein one of the Top 7 Foods That Slow Your Aging. To learn more about telomeres and life span, watch this 10 minute video. Everyone knows that if you drink too much beer, you will end up with a “beer gut.” What most people don’t know is that sugar in the form of fructose or high fructose corn syrup is processed almost the exact same way as alcohol in our bodies, which can also lead to these large bellies. The number one source of calories in the U.S. is from sugary drinks – mostly in the form of fructose or high fructose corn syrup. The corn refiners association claims that HFCS is no different than typical sugar when it comes to metabolism and obesity. But more and more research is coming out showing exactly how fructose is metabolized, which is more like alcohol than it is sugar. When you eat or drink fructose, almost all of the calories are turned directly into fat, compared to glucose which is mostly used by your body for energy. One of the only differences between fructose and ethanol (alcohol) is that alcohol is metabolized in your brain causing the buzzed feeling. As most people know to drink alcohol in moderation or not at all, the same applies for sugary drinks such as orange juice, soda or food products that contain fructose or HFCS especially as it turns directly into fat. 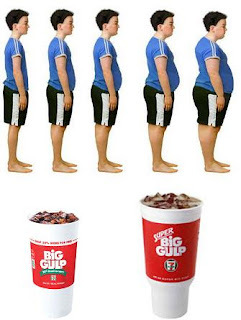 The average American currently drinks 60 gallons of soda a year… so be on the lookout for Big Gulp Bellies and start preventing your Big Gulp Belly now!